Admissions essays are among the common essays that students often ask essay writing services to write for them. Describing who you could be a tricky task for most people let alone putting it down on paper and that is why essay writer services offer to assist with this task. Essay writing services are ready to help students with essays at any academic level. There are however some students who prefer writing their college essays as long as they receive some guidelines on how to do so. Certain writing tips could help you achieve a good college admissions essay for your application to nursing school. The admission essay you write determines what the admissions office will think of you as an individual after reading the essay. College admission essays are meant to show the admissions your personality traits something that your grades and test scores will not be able to show. You should, therefore, approach your essay with a particular mindset if you want to write an essay that will ‘wow’ the admissions office. A good college admission essay increases your chances to be highly considered for the college application. The following are some of the strategies that will help you raft an outstanding college essay for nursing school. • Before you dive into writing your admission essay, take some time to look into what is required of you. Thoroughly analyze what the college essay expects from you. Once you understand the essay prompt, the writing process will be smooth. Break down the question into different aspects. Ask yourself what the college essay asking is and why would the admissions office ask you the questions. Once you can find the answers to these questions, you will be able to understand how you will draft the essay. If you know what the admission officers are looking for you will be able to portray yourself as the student who will be able to meet their expectations. • Brainstorming is another essential part of writing that requires you to look through different ideas related to the question at hand and settle for what you will focus on. As you choose the topic you will settle for, opt for one that will highlight who you are as an individual. Choose a topic that will share your experiences and thoughts. The idea you choose at the beginning of your essay should follow through the entire text. The main idea you want your essay to be written on should be what you want the admission board to perceive you when they read your essay. Develop an image of your character aside from your academic excellence. • When you analyze the essay prompt, you will find that you can come up with some ideas. The challenging part would be transferring these ideas to your essay. To ensure that your thoughts are not all over the pace you can create an outline. Develop an outline that will help you write the essay with consistency. Come up with a format and incorporate your idea into the outline. The outline will help you transition your ideas into a college essay smoothly. You will have a system that you will follow that will prevent you from mixing up your ideas. • College application essays should be kept personal and focused on providing details about you. Give the readers a sense of who you are from the beginning of your essay and throughout. 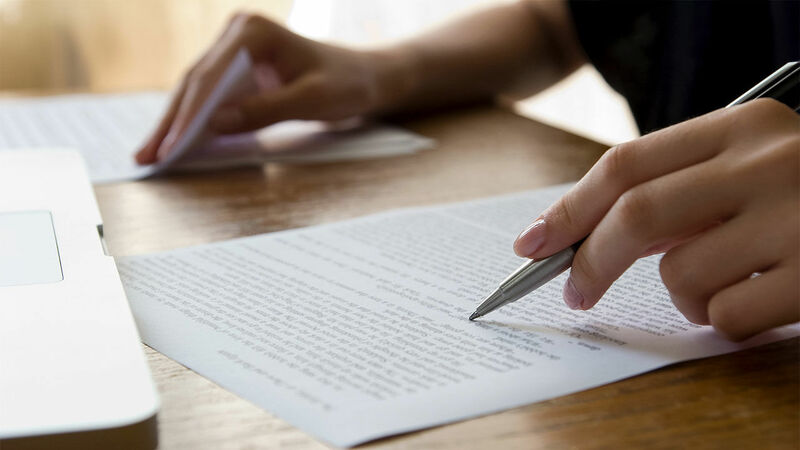 Your admissions essay should revolve around you since the sole purpose of writing is to get the admissions office to get a better view of your personality. Although you are trying to make a good impression on the board; ensure you write about what matters to you. The board is looking to know you can they will pay keen attention to your authenticity. Do not exaggerate your background but remain true to your experiences. A good college essay can be entertainingsting without having a life-shaking experience in your life. • Stand out from other applicants who are also making an application. The best way to distinguish you from other applicants is to try to be creative and also interesting. Being creative does not mean you should lie but find a way to elaborate your experiences in a way that will draw the reader’s attention. In your essay refer to yourself and experiences and show the admissions office what makes you different from other applicants. Identify some of the traits that will make you different from other applicants and incorporate them into the admission essay. • Focus more on showing rather than telling. As you develop your ideas in the essay by giving your experiences, do not only narrate but try to elaborate on your experiences. Describe the specific details of these experiences. Fine details will create a memorable expression of who you are to the admissions board. Specific detail will help the readers relieve your experiences, and this is what creates a strong impression of you as the applicant. • Ask someone to proofread your work. Before you submit your nursing application essay, you must ensure it is flawless. Although you may have thoroughly reviewed your work, it does not hurt to have someone else look at it. You could ask your friend or teacher to look through the essay and ask for their opinion. Having a second party review it and give their opinion could help you perfect your admissions essay. Another individual would be able to point out some mistakes you may have made that you are not able to identify. A fresh pair of eyes will be able to locate typos, and other mistakes that even spell check systems may miss. You can make the corrections and ensure you hand in a perfect admissions essay. Hence, the admissions essay should not become an obscure or conundrum for students entering colleges or universities. However, following the ideas mentioned above customers can succeed in writing a prominent and coherent admissions essay.